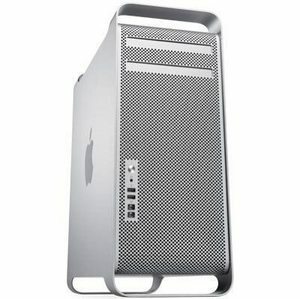 With its all-quad Intel Xeon-processor lineup, Mac Pro ushers in era of workstation performance. 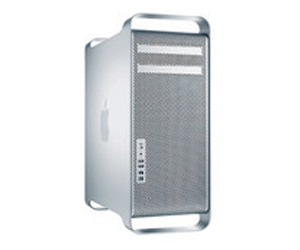 And, thanks to a design tour de force, Mac Pro also raises the bar on desktop usability. Its redesigned enclosure offers improved functionality and greater accessibility. It provides four hard-drive bays and a new cable-free installation process — with no cables or connectors to trouble you. A new tool-less PCi bracket simplifies the installation and removal of expansion cards. The, double-wide graphics slot means you don’t have to sacrifice a valuable expansion slot. Eight FB-DIMM slots on two riser cards offer quick, easy memory installation. 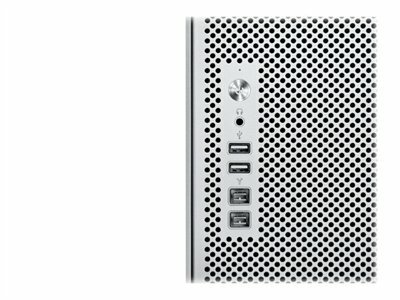 And you’ll find more ports up front for added convenience — including a FireWire 800 and another USB 2.0 port. A three month warranty is issued as standard on all refurbished Mac Minis. For further information, please visit the Warranty Pages.